The Tanzania Football Federation has appointed Nigerian football legend Emmanuel Amuneke as their new national team coach. 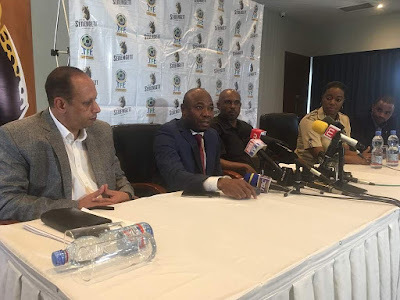 The Tanzania Football Federation confirmed the appointment on their official Twitter handle, with Amunike being unveiled by TFF President Wallace Karia in Dar es Salaam on Monday. The 47-year-old, who has been without a job since leaving Sudan's Al Khartoum SC in March, signed a two-year deal with the East Africans, replacing former coach Salum Mayanga. He will work to help his team get their Africa Cup of Nations qualifying campaign back on track.